Jamie Mitchell, Robb Pratt, Nathan Chew et al. Ariel Winter, Aimee Carrero, Jane Fonda et al. See how it all began, and discover the secret behind the legend of Disney's most inspiring new Crown Princess! Frozen in time and trapped inside the Amulet of Avalor for over forty years, Elena has finally found the one, brave princess who can set her free: Sofia! Together with magical flying jaquins, spirit animal Zuzo, and young wizard-in-training Mateo, Princess Elena must unite her people, battle the evil Queen Shuriki (Jane Fonda) and reclaim her throne. 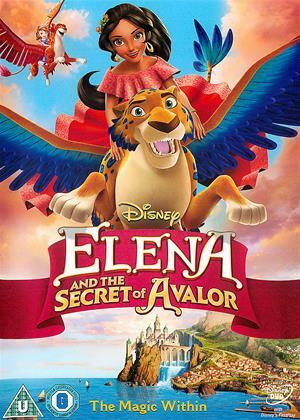 Experience adventure beyond your wildest dreams with the spectacular story of 'Elena and the Secret of Avalor'!